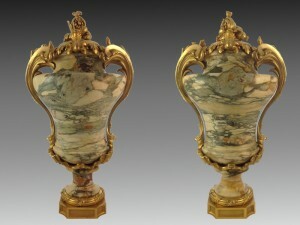 A pair of late 19th century, French, gilt bronze mounted ‘breccia di serravezza antica’ marble urns and covers of impressive size.The circular lids with pomegranate finials, above turned marble waisted bodies flanked by acanthus scrolling handles issuing bulrushes, the rococo rim centred by a water leaf. 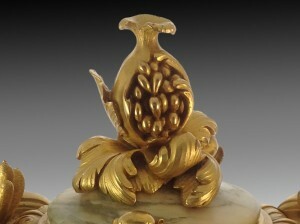 Standing on turned socles with gilt bronze plinth bases. 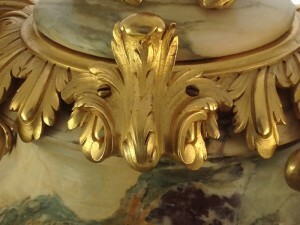 The mounts re gilded. 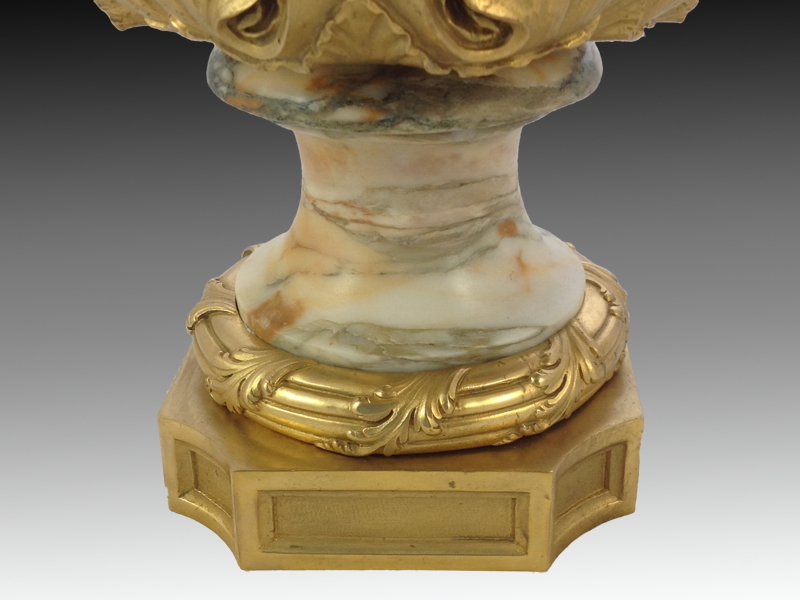 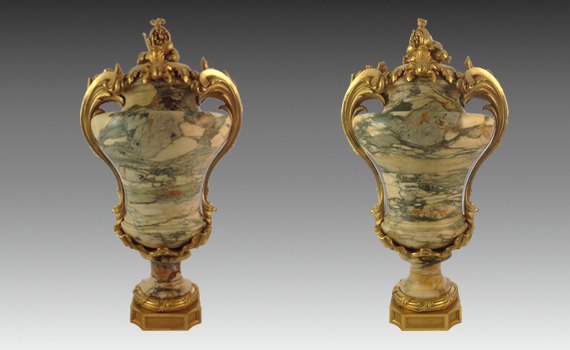 These urns are based on an 18th century porphyry model from the collection of the Duc de Tallard, a French noble, diplomat and Marshal of France. 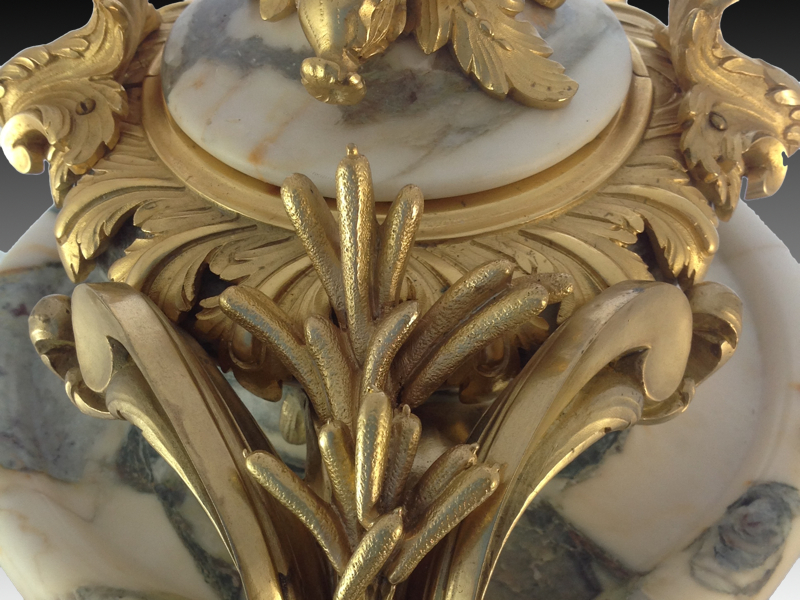 At the sale of Tallard’s collection in 1756, the vase was purchased by the Marquis de Marigny, brother of Madame de Pompadour. 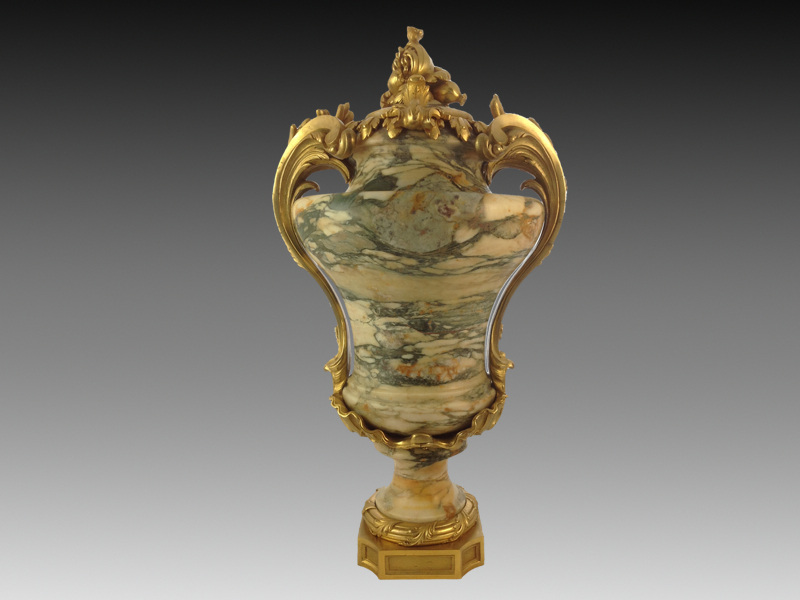 Following the death of his sister, Marigny lost his position and the extravagantly decorated residence that was supplied with it, and the vase, together with other house contents, were purchased from him by the Crown. 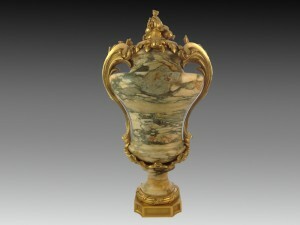 The vase remained in the Palais des Tuileries in the 19th century and now sits in the Musée du Louvre. 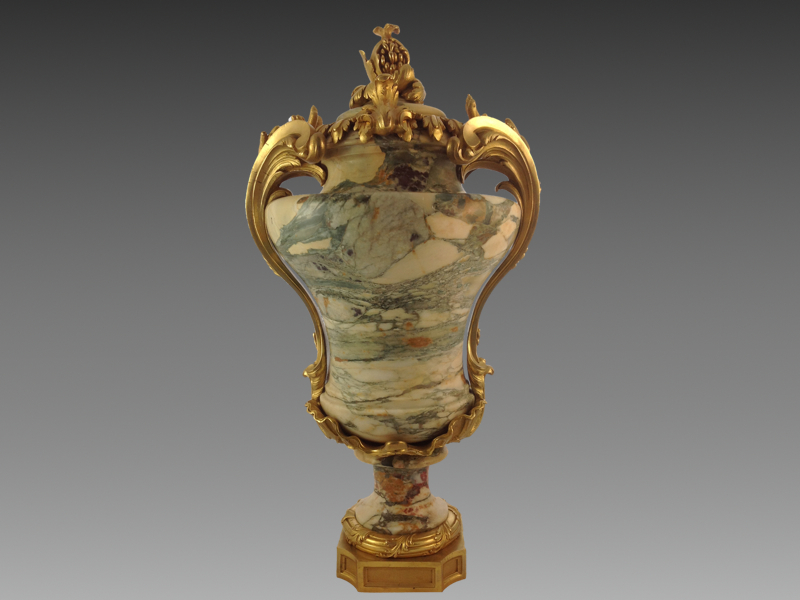 This model was reproduced by the finest craftsmen of the 19th century, including Beurdeley, Dasson and Linke. 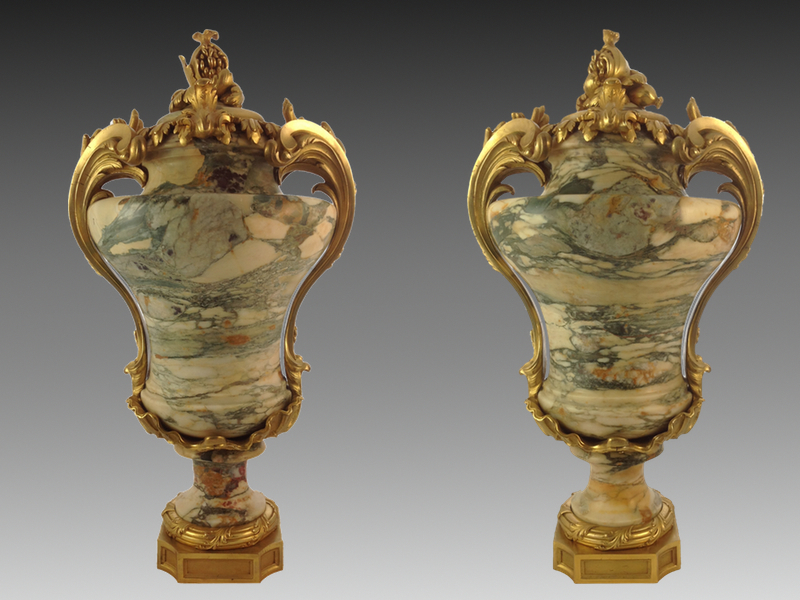 Linke produced two sizes of the vases in fleur de pêcher marble (see C. Payne, François Linke, 1855-1946: The Belle Epoque of French Furniture, Woodbridge, 2003, p. 205, pl. 223).